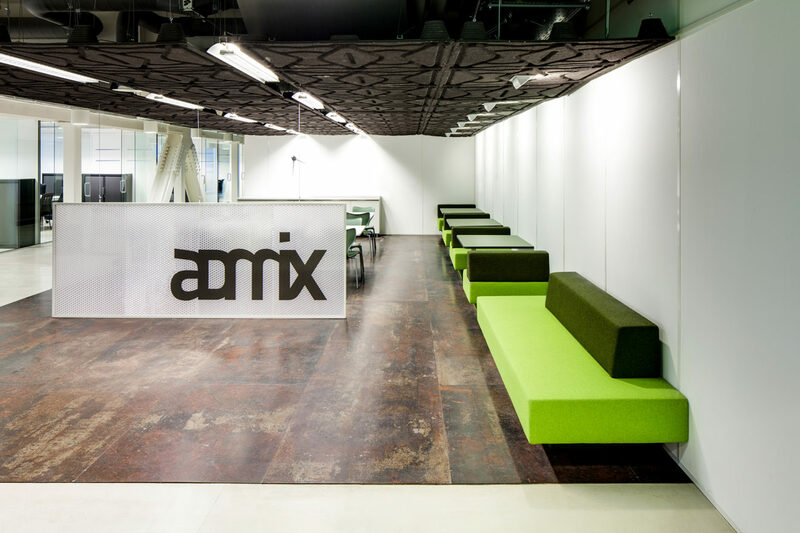 Advertising agency Admix moved with two sister companies to a new office space of 795m2 in Rotterdam. For both moving and arranging the new office a very short period of two weeks was available. Arconiko developed a plan of action and a design proposal that met all demands and could be realised within the given time period. The new location asked for 36 fixed work places spread over the three sister companies. The companies are grouped but don’t have to represent their own identity. 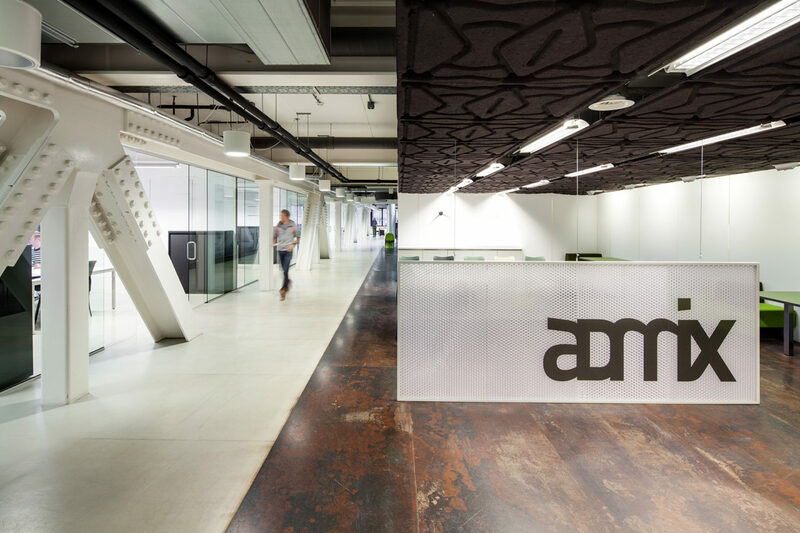 The new office has a transparent and industrial appearance with clear glass, white walls, floors and ceilings and steel floorplates in the middle zone. It matches the company. 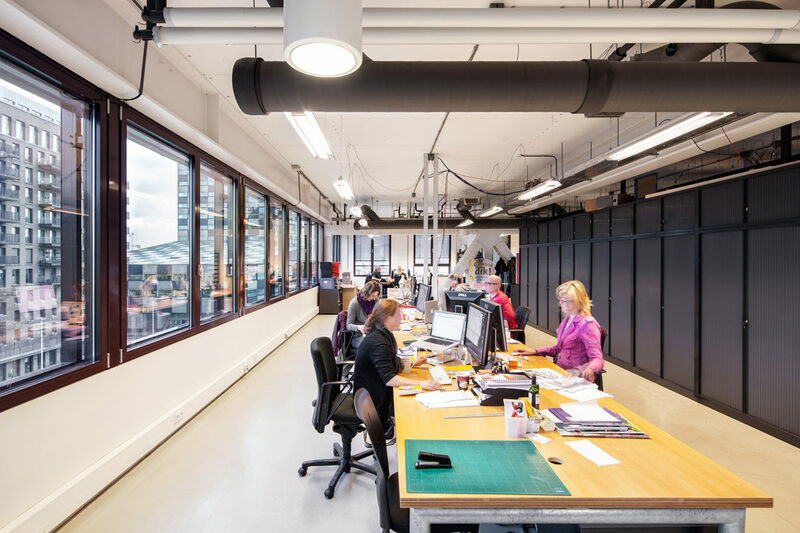 Next to the workplaces a meeting room, a cutting and printing room, a pantry with eating area and informal meeting places, an entrance area and sufficient storage room were needed. 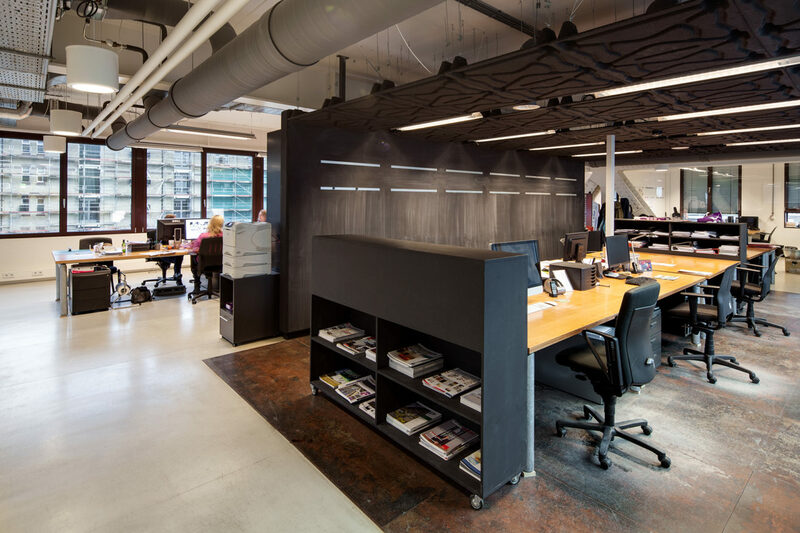 The new interior fits the office space, straight and clear without any finery. The new graphite black logo was leading and is well embedded in the interior. An important precondition of the interior was to keep into account the concrete core activation system meaning that no holes could be made in the floor. 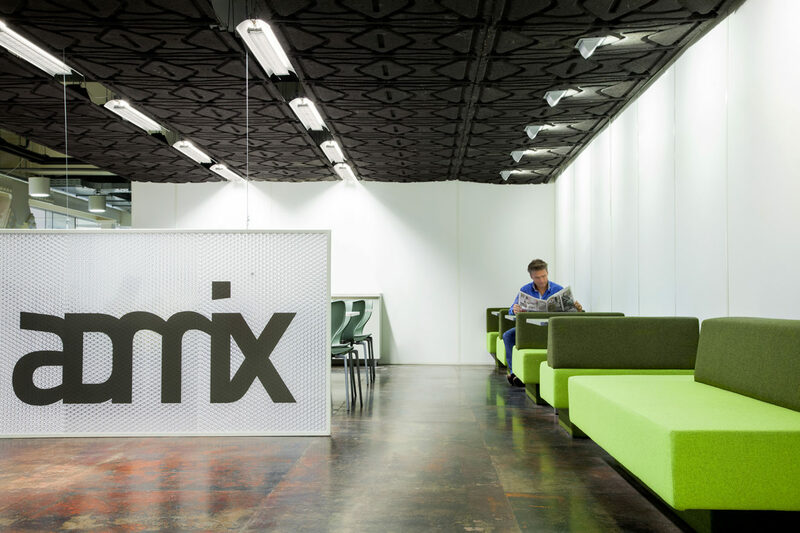 The design transforms and builds on the former layout creating an attractive entrance area with reception desk, sitting and meeting places, a pantry and various work and meeting rooms. Old and new go hand in hand and the companies can collaborate optimally.